Sincerely practising Caucasian Muslima from CHECHNYA. Born Muslima, in Muslim religious family. Know some Arabic. Looking for husband, ARAB only. Not older than 12 years (so not older than 41). Please write to me ONLY if you live in Arabic country. 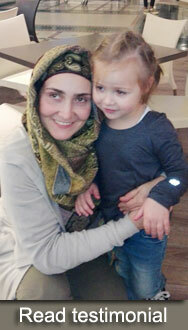 If you are religious (with Imaan), want to have family, ready to come to meet my family in Russia.